Tori delivers a punch to tike's stomach with his right fist. Uke steps in on his left leg and grips tori's right wrist with his left hand. Tori slides his right leg back and brings his right elbow into uke's back. 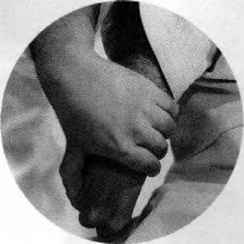 Uke brings his legs back to their original position and, while gripping ton's wrist, lays his right arm along torfs left arm. He attempts to tourn ton s wrist inward and pull him down, but tori makes his right hand lightly into a fist and rotates his fist around to the right (this motion is called the neko no te kuden or "cat's paw" movement). Tori then places his right elbow above ukes left elbow, and aligns his left hand against uke's left wrist. He then pins uke's elbow. 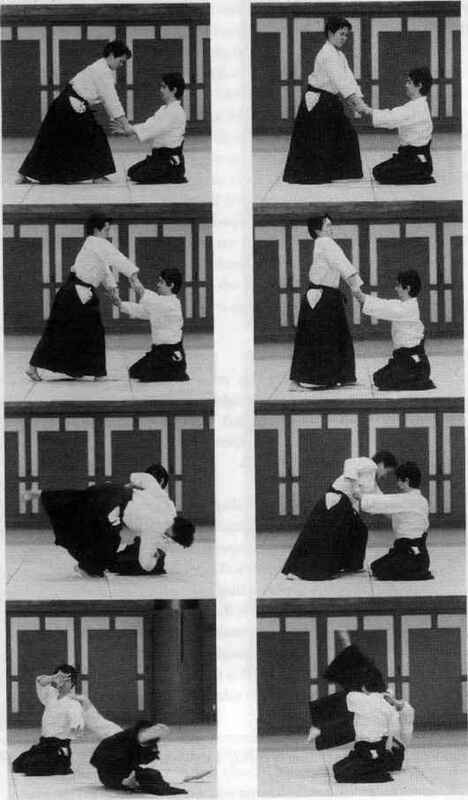 This motion is often used with kaesht-waza. Neko no te kuden is a movement performed when an opponent is gripping your wrist. If, in response, you lightly make a fist, this will allow your hand to move in any direction and vviil make it easier to perform kaeshi-waza. 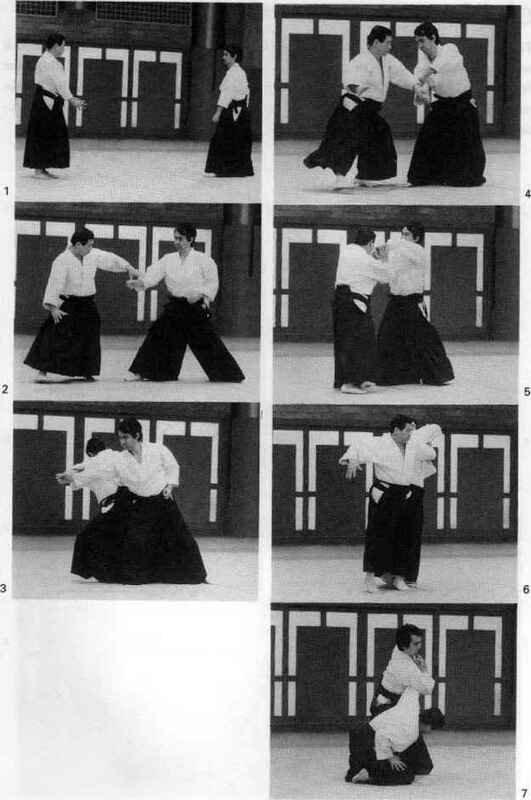 This movement is also effective when applying aiki in a technique.